With the inauguration of the new POTUS today AND Saab wagon’s teaser about a DS for French Friday I thought this French land yacht would be appropriate. 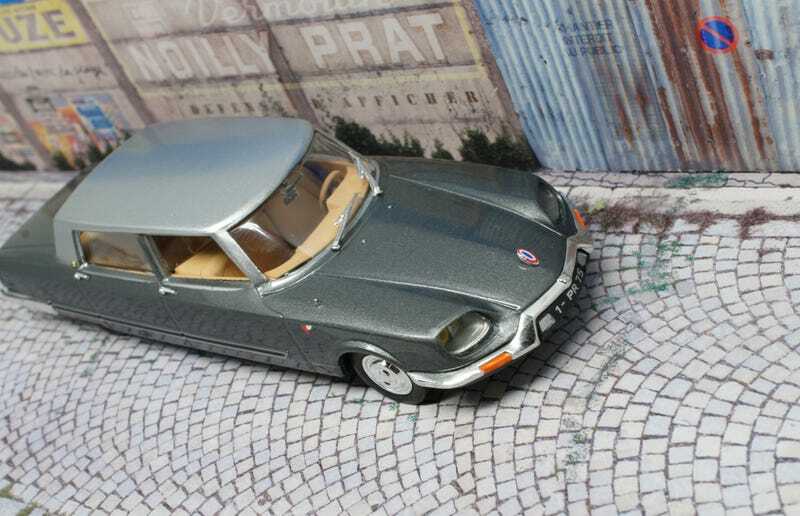 Not your bread and butter DS/Goddess though, this Citroën DS 21 Présidentielle Chapron. And it’s not the first “Chapron” I’ve shown. I’ve shown his Opéra. I’ve shown his Coach Le Paris. So if you want to know more about Henri Chapron’s creations start there. LaLD Car Week - French Friday: Le Fantôme de l&apos;Opéra. French Friday: Une autre déesse? This one however, we have to thank Charles de Gaulle for, back then the president of La République France. He was a great admirer of the brand with the double chevron, drove lots of Traction Avants and was often transported in a plain normal DS, straight from the factory. A DS even saved his life one time. Somewhat. And although everyone insisted De Gaulle to start using the armored Renault Rambler he refused and kept driving DS’s. As only the DS was able to exhibit the French class and technical superiority, not some souped up car from America. So when a new ceremonial car was needed for state visits, De Gaulle turned to Citroën and Henri Chapron. With only one demand: It needed to be bigger than the presidential limousines used by Lyndon B Johnson and Richard Nixon. After 6 years of construction the Présidentelle Chapron was delivered at the Élysée Palace in 1968. With a length of 6,53 meters it was huge. Due to all the weight and it still having “only” a 2,175cc/109hp engine it was slow. Madame Yvonne De Gaulle helped designing the interior and got to pick the grey colors. And it got... gilted Citroën emblems. It was used for Nixon’s visit to Paris in 1969. But in fact De Gaulle only used it three times. He didn’t like the fact the driver was separated from the passenger seats by a window, which couldn’t be lowered. And returned to using normal DS’s. And DS Décapotables. Round ones. And the 1:1 is in the Citroën concervatoire, Citroën’s factory collection. Another goal to visit in the near future. I can easily forgive it’s flaws, it’s cheap looks though. As you can find these for very little, about 12 euros. And what’s not to love about this ultimate expression of Frenchness? Let’s just say De Gaulle was quite a character. Just like your next POTUS is. So enjoy your inauguration today, I hope your POTUS really will make America great again.